Ah, the writing life — or a book gone wrong, or right, I don’t know. Hat tip to my newest blog find, a most worthy site for inspiration: The Improvised Life. Check it out. Great photos, easy reading. A site that always gives you a quick take-away. 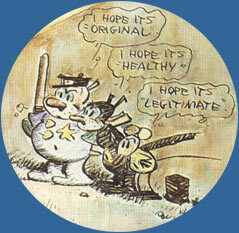 As a kid, I was a fan of Krazy Kat, the brick-tossing Ignatz Mouse, Offissa Bull Pupp, and company. 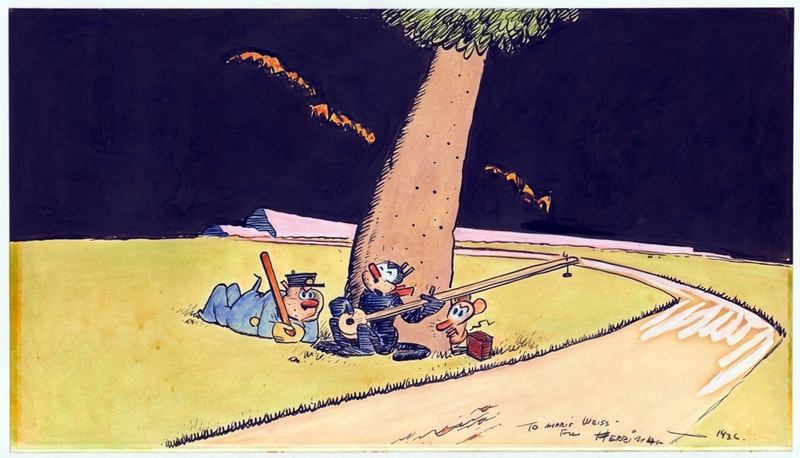 I was too young for the original George Herriman newspaper strip, but enjoyed the cartoons and, later, learned to appreciate Herriman’s singular world view. Too cool for words, though original, healthy, and legitimate are a good start. 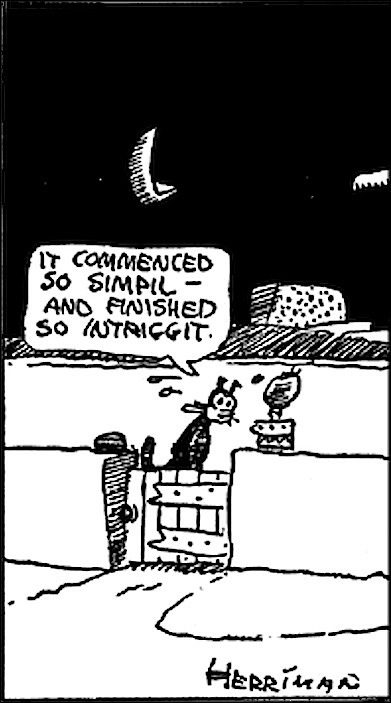 Those must have been righteous days, when you could open up a newspaper and find Krazy Kat and Nancy, originally drawn by the sublime Ernie Bushmiller. Here’s a favorite, passed along by my pal, illustrator Greg Ruth. Actually, calling the above illustration a favorite doesn’t quite do it. More like, a recent obsession. I printed it out, now it’s hanging on my wall by the computer. An arm’s length away. I want to write a book that answers that illustration. I want a version of that reflective moment on a book cover. It reminds me of the ending to one of my favorite films, Bob Rafelson’s “Five Easy Pieces.” For my money, it’s one of the great endings, ever. For the clip below, I’m thinking specifically of the scene in the bathroom at 2:30 – 3:30, though of course the full five minutes are worth watching, as Karen Black (Rayette Dipesto!) in anything so often is. But the real killer is Jack Nicholson catching a glimpse of himself in that mirror, turning away, the head’s slight turn, thinking, wondering, and finally coming back it (the reflection of his self) in that mirror: Who am I? What am I doing with my life? Where am I going? We all understand that scene. 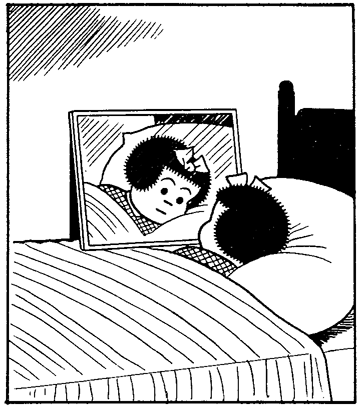 Even Nancy. And I can watch it over and over again.